This kit is useful for post-acute or chronic pain. It offers a pain assessment tool along with information and best practices to manage pain. 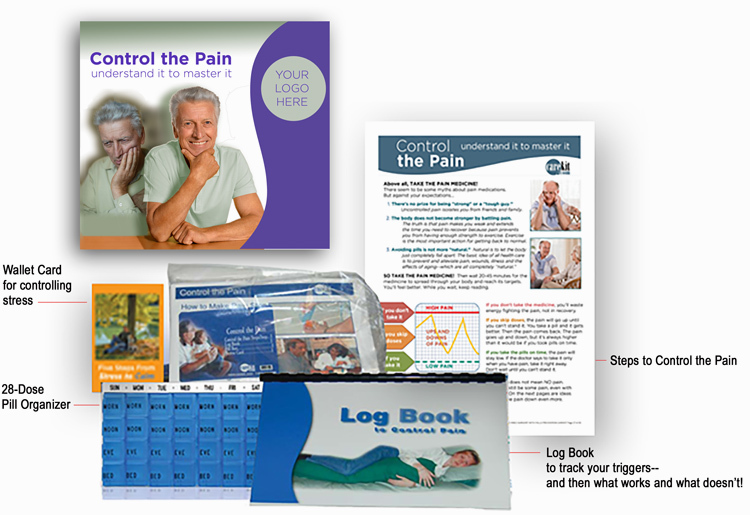 The kit guides patients to monitor and mitigate pain with tools, medication, relaxation and even determination: “I liked how the Log Book asked, “What I did today that I won’t do tomorrow.’ Made me stop and think!” This kit complements almost any care path.